Five home runs on the day boosted the Cougars as they hold on as the Pack tried to make a late rally. Steele Canyon got the offense rolling in the top of the first inning as JJ Venzor (4-4, 4R, 4 RBI, 2 HR) drove in Elizabeth Bott (1-3, R) with a single to make it 1-0. They would add to their lead as Bianca Morales (2-3, 2R, 5 RBI, 2 HR) jacked a three-run bomb over the left field fence that scored Jazmin Alvarado and Venzor. Trailing 4-0 in the bottom of the first inning the Wolf Pack were able to scratch back a couple runs as Haley Valles (1-2, 2R, 2 RBI, 2B) would score on an error, Alyssa Bubar (1-3, R, SB) stole second and she would come around and score on another Cougars miscue to make it 4-2. Once again Morales would do the damage for the Cougars as she hammered a two-run homer in the top of the third which scored Venzor. The blast extended their lead, 6-2. A couple innings later Venzor added more as she homered to bring home Alvarado to make it 8-2. West Hills pushed across another run in the bottom of the fifth on a lined single to left field by Hartwig which scored Valles to make it 8-3. The Wolf Pack added more runs in the bottom of the sixth inning on a two-run double by Valles that brought home both Mia Collabello (RUN) and Dakotta Mershon (RUN) to pull within 8-5. They would push across another run on an error by the Cougars which scored Mikayla Cristini to cut the Cougars lead to 8-6. However the Cougars added a couple of runs in the top of the seventh inning thanks to solo jacks by both Venzor to lead off and Maggie Carpenter (1-4, R, RBI, HR) to extend the lead to 10-6. West Hills didn’t go down quietly in the bottom of the seventh inning as Gabby Clippinger (2-4, R) singled with one out, advanced to third as Star Gaylord (1-3) reached on an error and a couple batters later Clippinger came into score on a Savannah Henderson (2-4, RBI) single to make it 10-7. 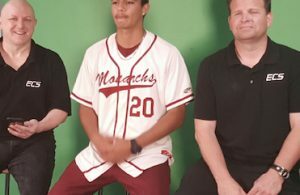 Unfortunately that would be the closest the Wolf Pack would get as the next batter was retired Kassandra Jaggard who came in and tossed two innings of relief. In the loss for the Wolf Pack, Carly Bursch went all 7 innings giving up 10 runs on 11 hits while walking 2 and striking out 8. For the Cougars, Grace Richter tossed 5 innings to get the victory giving up 6 runs on 9 hits while walking 2 and striking out 3. After the game, the Wolf Pack celebrated the seniors which included Ashleigh Hartwig, Savannah Henderson, Haley Valles, Mikayla Cristini, Alyssa Bubar, Gabby Clippinger and Carly Bursch and all their families. 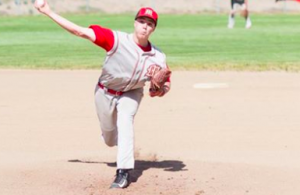 The Eagles overcome multiple Foothiller homers and hold on to beat the Hillers to secure playoff positioning. With both teams jockeying for playoff positioning it was anyone’s game for the taking as Granite Hills looked to celebrate on Senior Day. After neither team did anything in the first couple of innings the Eagles finally broke through in the bottom of the second as McKenzie Boehm (2-3, 2R, SB) led off with a single, she would steal second base and would come around to score on a base knock by Julia Tyseling (3-3, 3 RBI) to make it 1-0. Granite added two more runs as Kara Blanchard (1-3, R, 2 RBI, HR) took the Samaria Roope offering and jacked it over the left field fence to give the Eagles a 3-0 lead. Coming into score on the dinger was Sydney Huse (2-3, R). The two-run blast was Blanchard’s first career varsity home run. Despite a one-out double in the top of the third by Jessica Medlin (2-3, R, RBI, 2B) the Foothillers couldn’t advance her further in the inning. Again Grossmont with one out would have runners on as Jordan Brown reached on an error and Roope walked. However neither would be advanced. 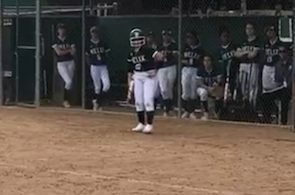 Bailey Wallace would double with two outs for the Eagles in the bottom of the fourth but that was the furthest she would get. In the top of the fifth inning with one out the Hillers finally got on the board as Jessica Medlin homered over the right-field fence to make it 3-1. A couple batters later with two outs, Katie Appenzeller (2-4, R, 2B) smashed a double off Catie Dobbs and Kati Contreras (1-4, R, 2 RBI, HR) followed with a two-run blast to tie the game at 3-3. Granite Hills would answer back in the bottom of the fifth inning as Boehm doubled which advanced Erica Simon (RUN) to third. Both would come into score on a Tyseling single to center which would give the Eagles a 5-3 lead. 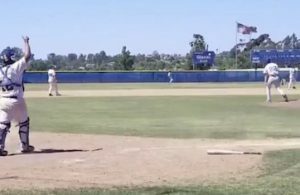 Grossmont would get a one-out single by Appenzeller in the top of the seventh inning and a couple batters later with two outs Brown reached on an error. This brought out Eagles coach Curtis Barnes who brought in Staci Chambers who got Roope to ground to Blanchard at third base who threw it to first for the final out of the game. In the loss for the Hillers Roope went 6 innings giving up 5 runs on 10 hits while walking 2 and striking out 4. For the Eagles in the win, Dobbs went 6.2 innings to get the win giving up 3 runs on 6 hits while walking 2 and striking out 11. Chambers who came in relief tossed .1 innings to get the save. After the game, the Eagles celebrated Blanchard who was the lone senior this season and also her family.